Norvin H. Green was born in New York in October 20, 1893, the son of Amy Hewitt and James O. Green. As a child, he spent much time at Ringwood Manor with his grandparents and at his family's summer estate across the street. Norvin attended school at Columbia University, graduating in 1919. Prior to that, he served as a first lieutenant in the New York State Guard and 209th Field Signal Battalion, Ninth Division, of the Army in World War I.
Norvin went on to become chairman of the board for the Ganley Mountain Coal Company (West Virginia), the Ringwood Company (New Jersey), and the Electric Ferries, Inc. (New York). He was the director and member of the executive and finance committee of the International Business Machines Corporation (IBM), the Okonite Company, and the Intertype Corporation. In addition, he was a trustee of the Brooklyn Savings Bank. In 1919, Norvin became the treasurer of the Borough of Ringwood and served until 1924, when he was elected Mayor of the town. An avid art and antiques collector, Norvin Green gifted items to the Museum at Cooper Union, the New York Historical Society, and the Metropolitan Museum of Art. He was also involved with education as a trustee of Cooper Union and the Brooklyn Polytechnical Institute, and as a member of the Columbia College Council. With the exception of Erskine Hewitt, there was perhaps no other family member more instrumental in preserving Ringwood and the surrounding areas. He sold the Green summer estate to the Catholic order of Capuchin Sisters for $1, which preserved the original building and surrounding property. After his Uncle Erskine Hewitt's death, Norvin was the main beneficiary of the vast Hewitt estates in New Jersey and New York City. He supplemented Erskine's original gift of Ringwood Manor and surrounding property by deeding the interior contents of the Manor and additional acreage to the State of New Jersey. He gave the original farm area of Ringwood Manor to Cooper Union, which used it for many years as an engineering camp and institute ("Green Engineering Camp"). Additional land gifts to New Jersey increased the size of Ringwood State Park quite dramatically. 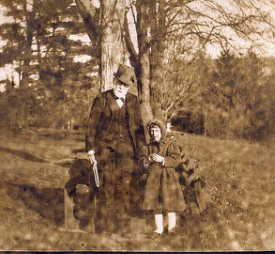 The areas now known as the Norvin Green, Long Pond, and Abram S. Hewitt State Parks all started from land gifts given by him and were expanded over time with New Jersey Green Acre purchases. Norvin Hewitt Green married Irene Pierce in 1922 and had two daughters. He passed away on April 13, 1955 at the age of 61.